Styled with athena blouse . These guys are just begging for a crop top. 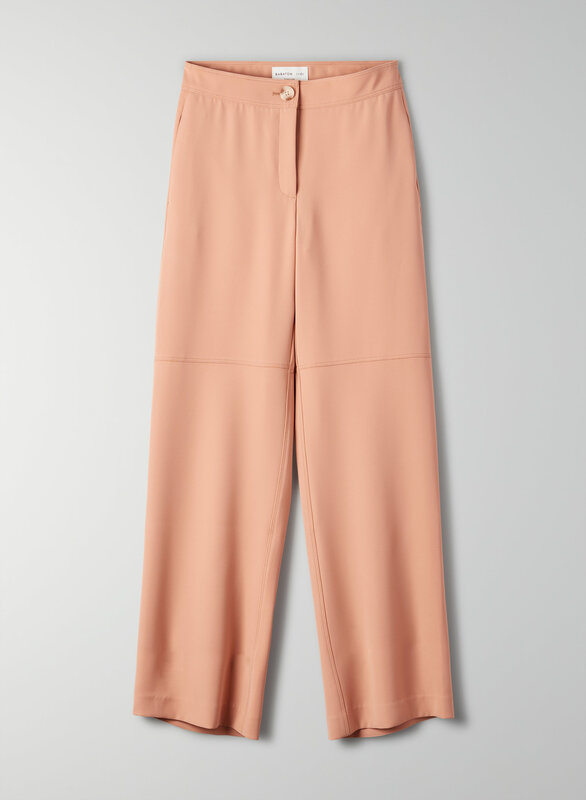 This is a wide-leg, high-waisted pant with a seam detail at the knee. They're made with a matte, stretchy fabric from Japan.